These presentation slides 34940 are complete compatible with Google Slides. Simple download PPTX and open the template in Google Slides. Real Estate Puzzle Chart will fit for presentations on real estate buying, real estate selling, mechanisms of real estate trade, etc. 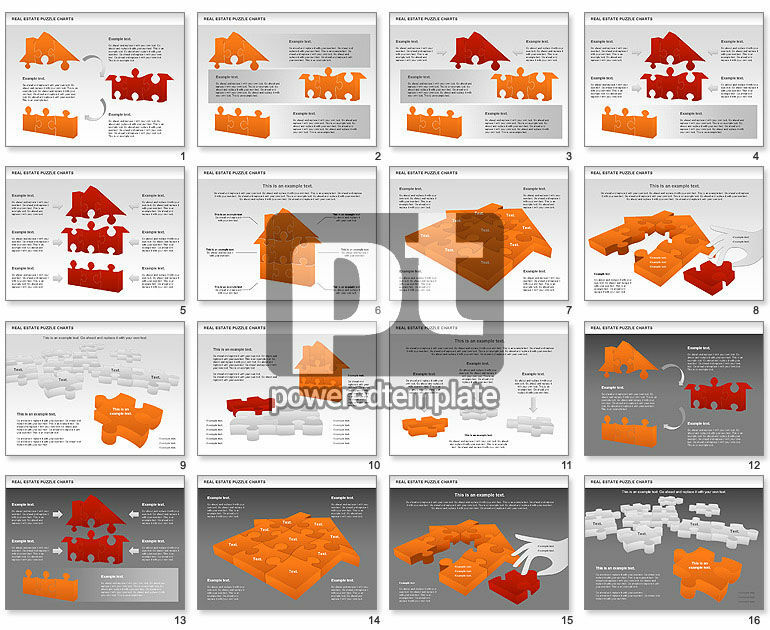 The chart and its shapes are complete editable for Real Estate presentations and available for immediate download.